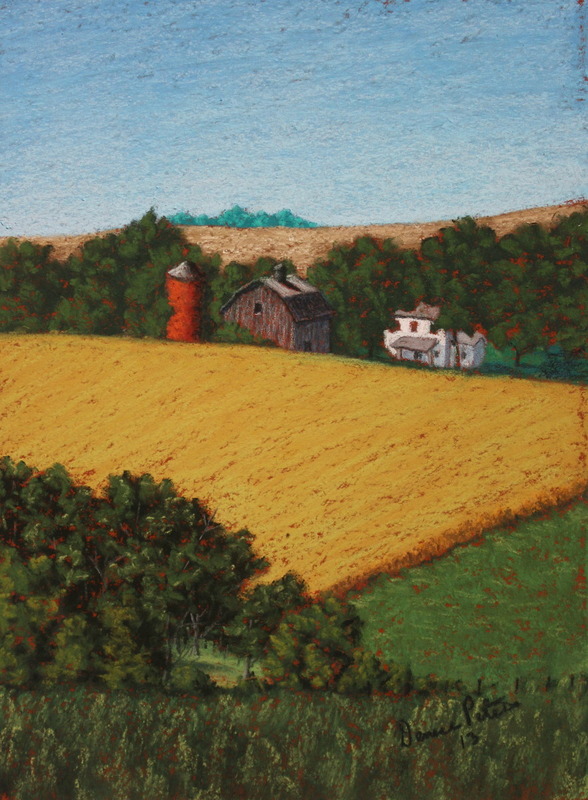 This is a farm scene near LeMars, IA. I loved all the layers of color in the bright sun. I chose to paint this one on a rust colored background to give it a glow. It is a 6" x8" pastel. SOLD!